CD/DVDs silts are available free of charge. This promotion may be used with other valid promotions (including those found on external websites). Paper 8 1/2" x 5 1/2"
Both sides printed with a four-color process on 12pt C2S White Semi-Gloss stock. Coated with Aqueous Matte. Natividad Medical Center provides a message of gratitude to its patients on the cover of this envelope, along with a photo of a doctor providing care to his patient. Additional images of the facility and its equipment are inside, along with information about the hospital’s equipment. Directions for viewing the CD’s contents also are available for patients. More facility and equipment images are available on the back. Four-color process printed on both sides of 12pt C1S White Semi-Gloss stock. Coated with Aqueous Satin. 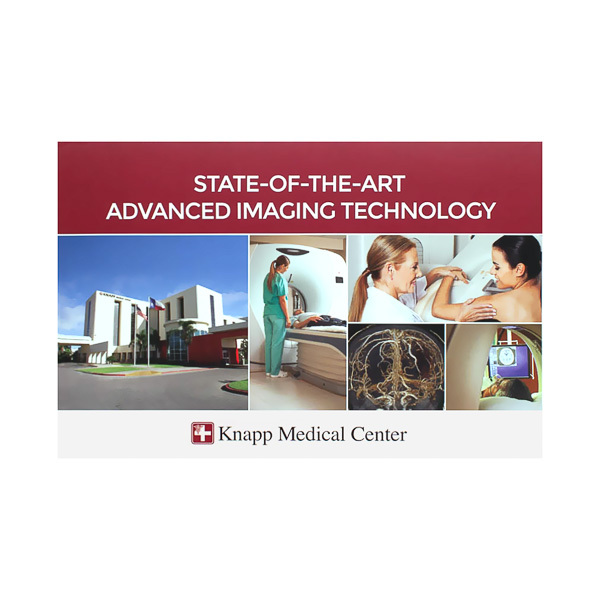 Knapp Medical Center's dark red color branding adds a warm, welcoming touch to this design. 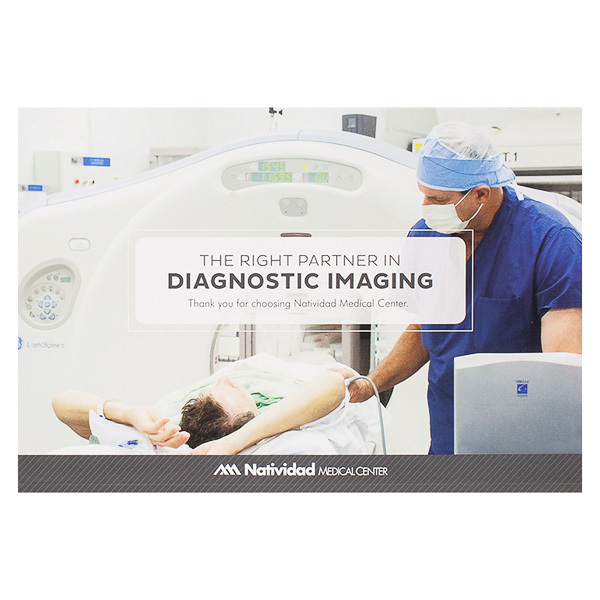 A collage of photos showcases its facility and imaging technology. Info on the interior tells patients more about the center's services and their own test results found in the pocket and disc slits. Contact information on the flap and back of the pocket lets patients learn more at their leisure. Both sides printed with 2 PMS colors using light coverage on 12pt C2S White Semi-Gloss stock coated with Aqueous Gloss. 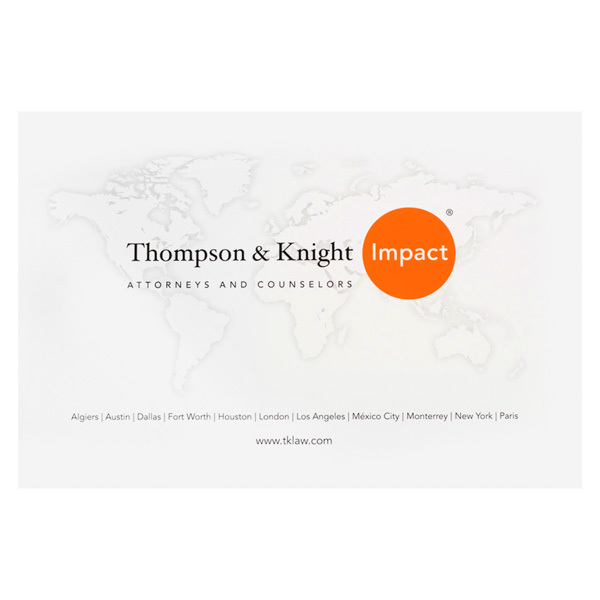 The world map in the background of Thompson & Knight's folder design (along with the cities they're based out of listed underneath) helps convey that they are truly a global law firm. Meanwhile, the orange circle in their logo suggests energy and positivity. Inside, recipients can find a series of facts related to the company's successes with their clients. The firm's web URL appears on the pocket inside. Both sides printed with 1 PMS color using light coverage. 12pt C1S White Semi-Gloss stock coated with Aqueous Gloss. 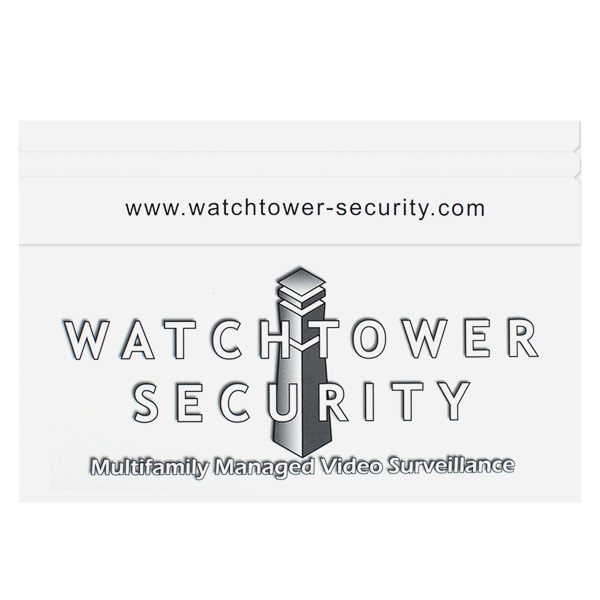 Watchtower Security sends clients surveillance footage in this black and white design. The brand logo is located on the pocket exterior, just under the URL. Inside, the flap is customized with information about the disc's footage. An event summary document slips into the pocket, which is clearly labeled to help recipients understand what they're reading. Watchtower's logo also appears on the reverse side, along with the brand's street address. This product doesn't just hold a standard 5" disc—it doubles as a mailing envelope and triples as a presentation packet. This lets you send a variety of digital and print materials to your customers in one convenient packet. The flap wraps around the single pocket and locks in place with a permanent adhesive strip. Both custom-sized 8 1/2" x 5 1/2" print media and letter-size papers folded in half fit in the pocket. Slits on the pocket's exterior secure a CD, DVD, or other disc so its reading side is protected, while any designs on the non-reading side stay visible. Dimension Closed: 9" x 5 15/16"
Dimension Open: 9" x 14 1/16"
Acceptable Insert Sizes: 8 1/2" x 5 1/2"